No. 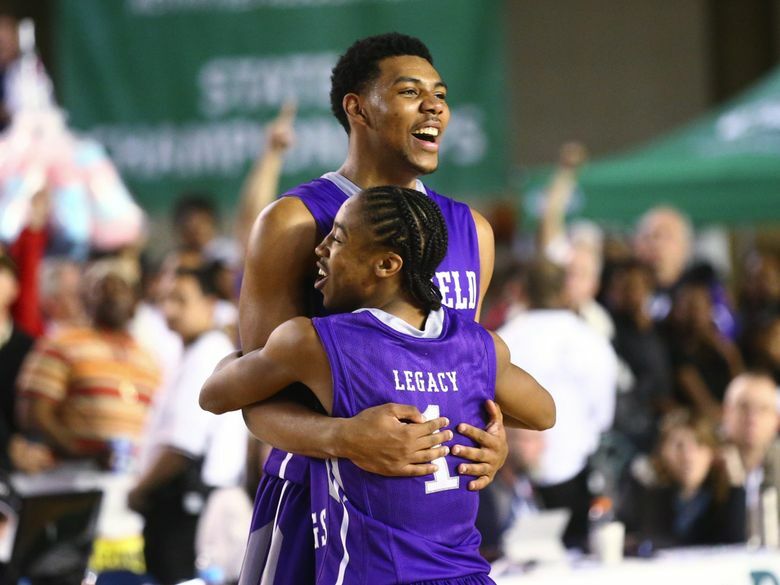 3 Garfield captured the Class 3A state title with a 66-51 win over three-time defending champions No. 1 Rainier Beach. 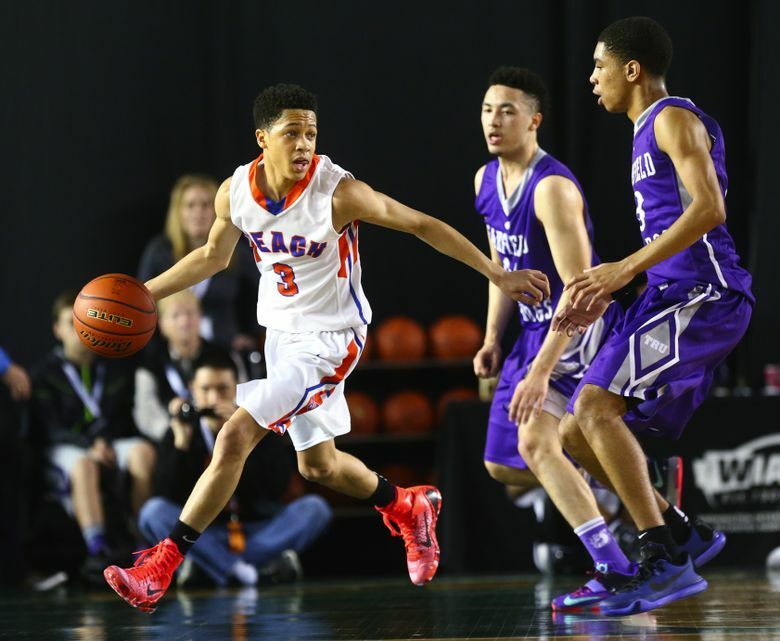 TACOMA — Garfield preaches unity. It thrives on doing everything as a team, from leaving the locker room after a game together to each person taking responsibility for the ups and downs of the season. The team came together one more time this season on Saturday night, this time to win a state championship. The No. 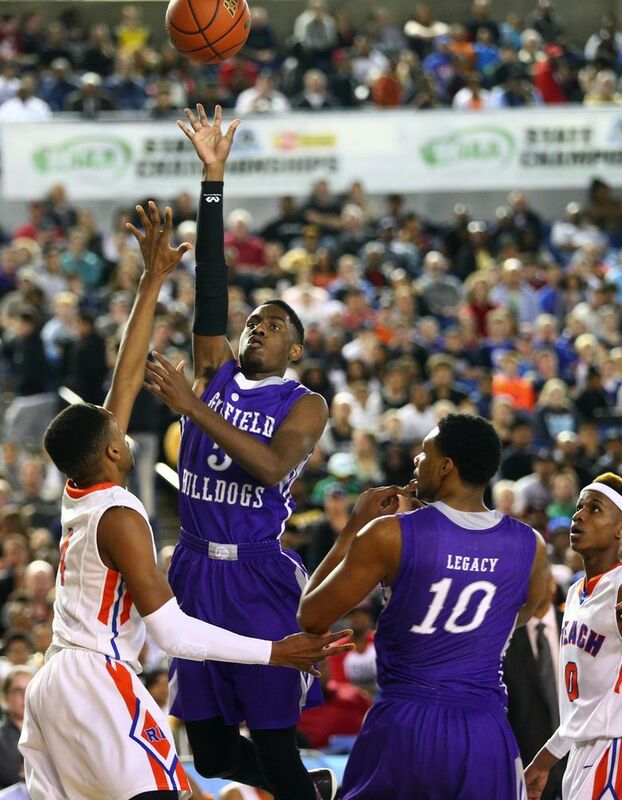 3 Bulldogs pulled away late to capture the Class 3A state title with a 66-51 win over three-time defending champions No. 1 Rainier Beach. 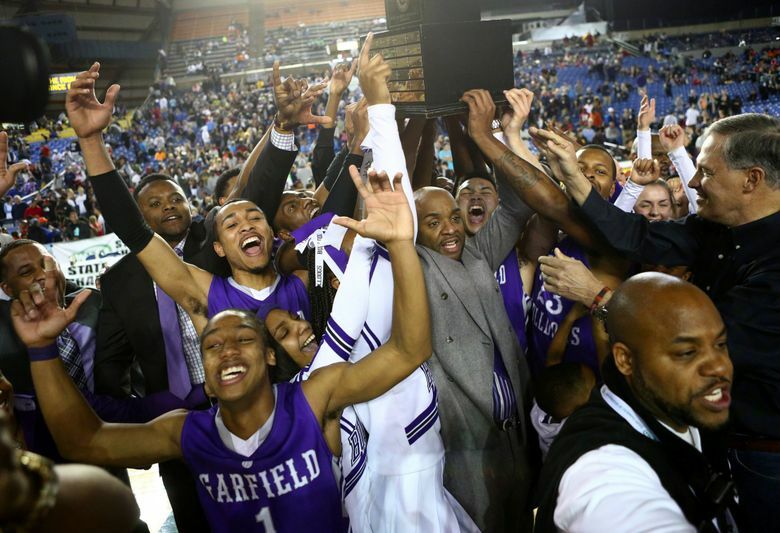 It is the second straight title for Garfield (27-2), which beat Richland last year to capture the Class 4A championship, and the 13th in school history for one of the most storied programs in the state. 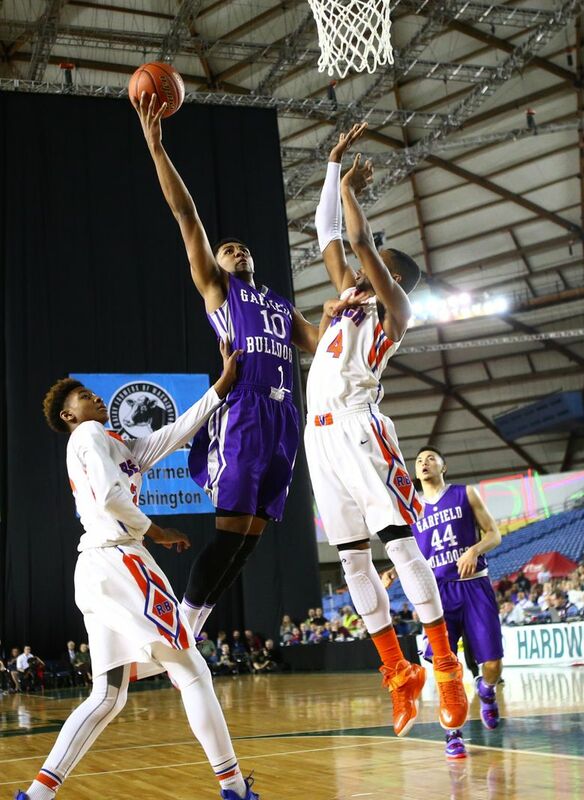 While it was a team effort to win the championship, a mismatch that forward Alphonso Anderson created inside was key. The 6-foot-6 forward had his way with smaller defenders guarding him, as his unique mix of size, strength and athleticism made him tough to stop on the block. 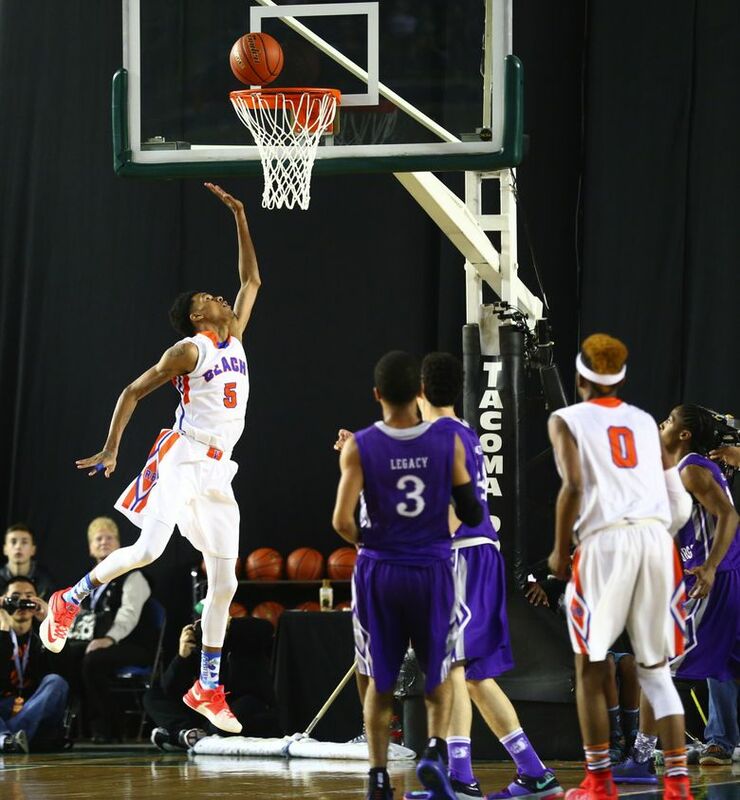 Anderson finished with 17 points — 12 in the second half — and 14 rebounds. He was also able to draw secondary defenders and open things up for his teammates, which aided Jaylen Nowell, who finished with a game-high 23 points. “Today, I was going to get it done no matter what happened,” Anderson said. The teams traded blows throughout the second half, with the lead seesawing back and forth. 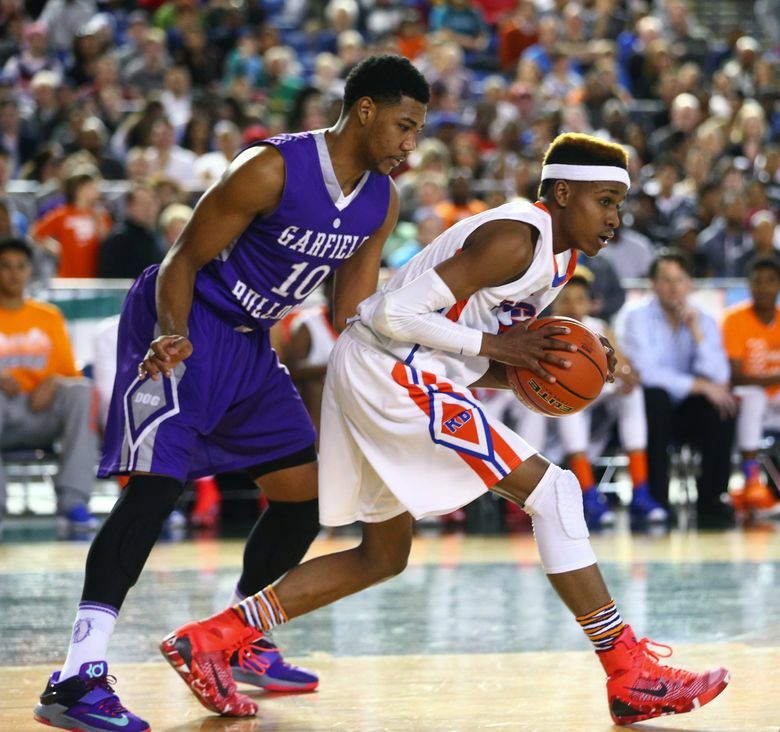 Neither was able to pull ahead by more than five until midway through the fourth. 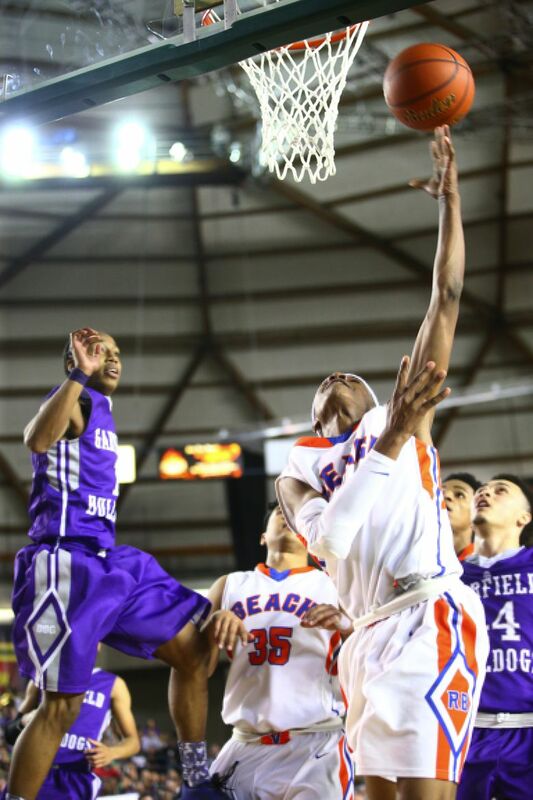 Nowell started the final push by stealing the ball from Rainier Beach (25-4) guard Shadeed Shabazz and converting it into a three-point play to give the Bulldogs a 52-49 lead with 3:18 left. 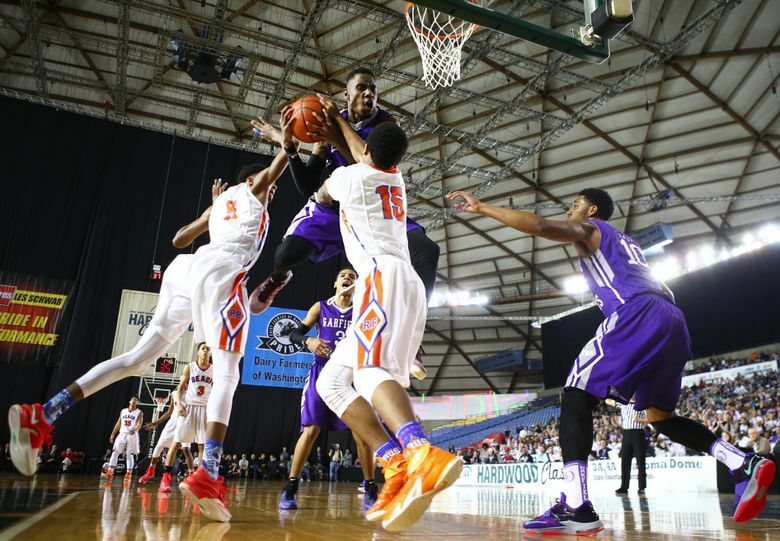 That bucket started a 17-2 game-ending run for Garfield. 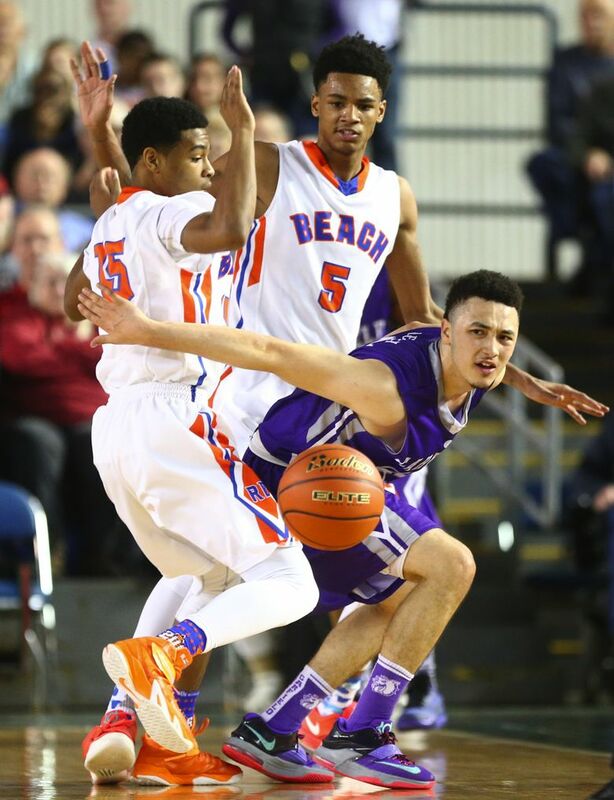 “I faked at him, I guess he kind of got scared and dribbled off his foot,” Nowell said of the steal. 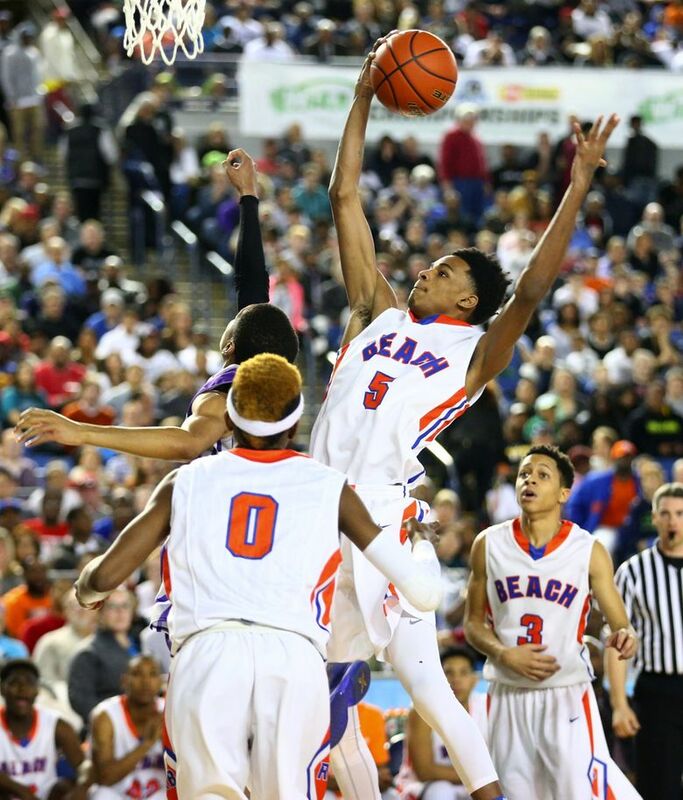 Rainier Beach star Dejounte Murray finished with 15 points and 13 rebounds, but struggled to get going in the second half, scoring just four points on six shots. 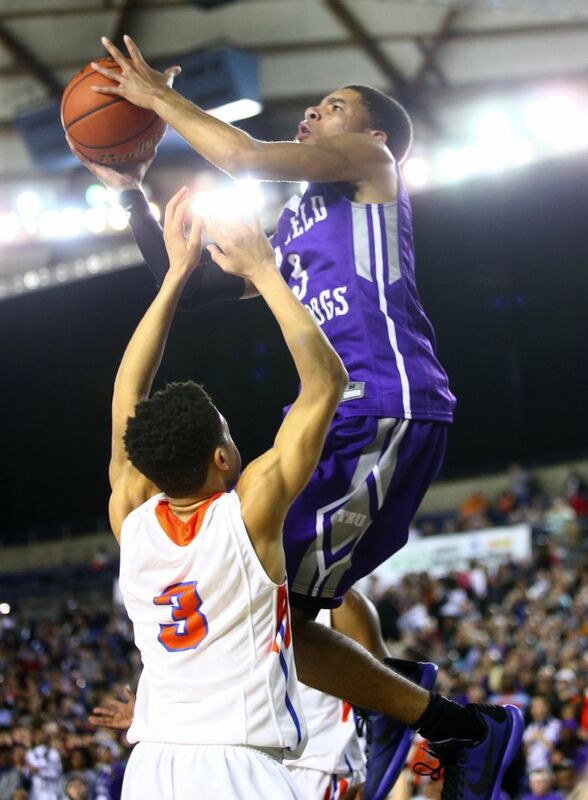 The Vikings were attempting to become the first Class 3A team to win four straight state titles.